15. 11. 2011. 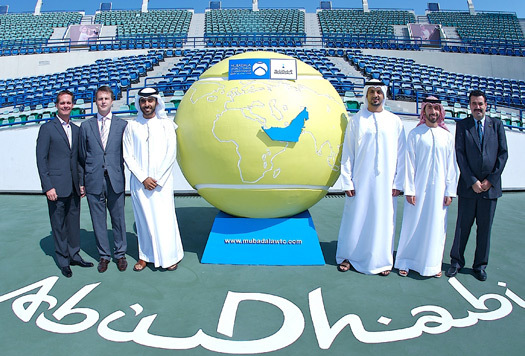 · World no.1 Nole will make his first appearance at the Mubadala World Tennis Championship, one of the region’s most eagerly anticipated sporting events, bringing the world’s top players to the Abu Dhabi International Tennis Complex at Zayed Sports City on December 29-31. The tournament is a not part of the ATP Tour, and is based on a knock-out format over three days. The championship features the strongest ever line-up with five of the top six ranked players in the world taking part. Novak Djokovic, Rafael Nadal, Roger Federer, David Ferrer, Jo-Wilfried Tsonga and Gael Monfils will contend for the title. Nole will be looking to continue the form that saw him put together one of the greatest individual seasons in professional tennis history. The 24-year-old Serbian star will play his first match on Thursday, December 29, at 14.00 CET, against Frenchman Gael Monfils. The winner will face last year’s finalist Roger Federer in semi-finals, who along with defending champion Rafael Nadal received a BYE to the last four. Semi-final matches will take place on Day 2 (Friday, December 30, 2011) with the final and consolation (3rd and 4th place) matches taking place on Day 3 (Saturday, December 31, 2011). Andy Murray won the first edition in 2009, beating Rafael Nadal in three sets. The Spanish world no.2 won the previous two editions beating Robin Soderling in 2010 and Roger Federer at the start of this year.